These situations require proper accident investigation even before the lawsuit is filed. Witnesses need to be contacted and their statements recorded to ensure your story is told. Engineers may be required to re-enact how the accident physically occurred and doctors hired to organize imaging and provide medical legal opinions. As a victim of injury, you want to know your lawyer understands the key ingredients to win your case. Motorcycle accident lawyer, Daryl Brown, and his team work specifically on cases that require diligent investigation to ensure you receive the best result possible. A brain injury is a disturbance of normal brain function and may result from a variety of different forces including blunt trauma or whiplash. The severity of brain injury can range from a mild concussion, symptomatic of headaches and fatigue, to a traumatic brain injury (TBI) resulting in mood disorders and personality changes. 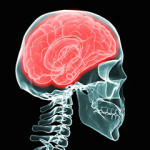 Not all brain injuries require extended periods of unconsciousness or amnesia. Signs and symptoms of a brain injury can include but are not limited to vomiting, dizziness, headaches, insomnia, fatigue, memory loss, loss of concentration, irritability and a change in behavior or personality. 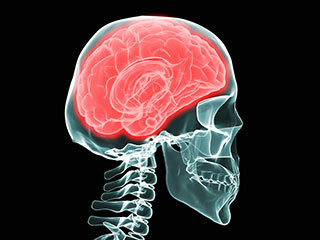 In many cases, individuals suffering from a brain injury go undiagnosed and treatment is not recommended. 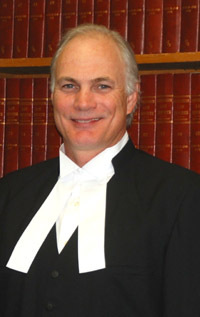 Experienced counsel can detect the signs and symptoms and assist in locating early rehabilitation. Spinal cord and amputation injuries are devastating. They must be treated by looking at the individual’s long term physical and emotional care. Considerations must be given to the future cost of care and loss of earning capacity. Experts familiar with these injuries are necessary to make the proper recommendations and experienced counsel will understand how to manage claim of this complexity. 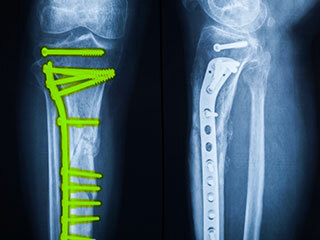 Orthopedic injuries range from simple fractures to crushed or comminuted bone. Such injuries can heal in short order or may never mend completely. A badly broken arm or leg can splinter or fragment, preventing proper union. 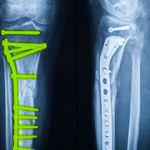 In many instances, metal pins, plates and rods are inserted to add strength and support. These injuries can lead to osteoarthritis years later and affect an individual’s ability to work and earn an income. These injuries include disc herniation, thoracic outlet syndrome, torn ligaments, muscle strains, soft tissue injuries, nerve damage, chronic pain, anxiety, depression, post traumatic stress disorder and more. Each injury or combination of injuries requires a medical specialist to assist with diagnosis and prognosis. Experienced counsel will work with these physicians to ensure a formal medical opinion is prepared to offer as evidence in every situation. Daryl understands what it means to be seriously injured. Even after almost 20 years of riding experience he was severely injured in a motorcycle accident in 1995.He is experienced and cares about you and is ready to assist. If you or someone you know has been injured, contact Daryl Brown directly at 604-612-6848 or toll free at 1-844-BIKE-LAW for a free consultation.Don’t delay. There are time limits for starting a lawsuit that, if missed, could cause your claim to be denied. Most injury claims are dealt with by contingency fee, which means you are not required to put money up front. Your legal fees are paid when the insurance company settles your claim or a Court orders your final award.